More than 30 million American adults are living with kidney disease and most don’t know it. “There are a number of physical signs of kidney disease, but sometimes people attribute them to other conditions. Also, those with kidney disease tend not to experience symptoms until the very late stages, when the kidneys are failing or when there are large amounts of protein in the urine. This is one of the reasons why only 10% of people with chronic kidney disease know that they have it,” says Dr. Joseph Vassalotti, Chief Medical Officer at the National Kidney Foundation. While the only way to know for sure if you have kidney disease is to get tested, Dr. Vassalotti shares 10 possible signs you may have kidney disease. If you’re at risk for kidney disease due to high blood pressure, diabetes, a family history of kidney failure or if you’re older than age 60, it’s important to get tested annually for kidney disease. Be sure to mention any symptoms you’re experiencing to your healthcare practitioner. You're more tired, have less energy or are having trouble concentrating. A severe decrease in kidney function can lead to a buildup of toxins and impurities in the blood. This can cause people to feel tired, weak and can make it hard to concentrate. Another complication of kidney disease is anemia, which can cause weakness and fatigue. You're having trouble sleeping. When the kidneys aren't filtering properly, toxins stay in the blood rather than leaving the body through the urine. This can make it difficult to sleep. There is also a link between obesity and chronic kidney disease, and sleep apnea is more common in those with chronic kidney disease, compared with the general population. You see blood in your urine. 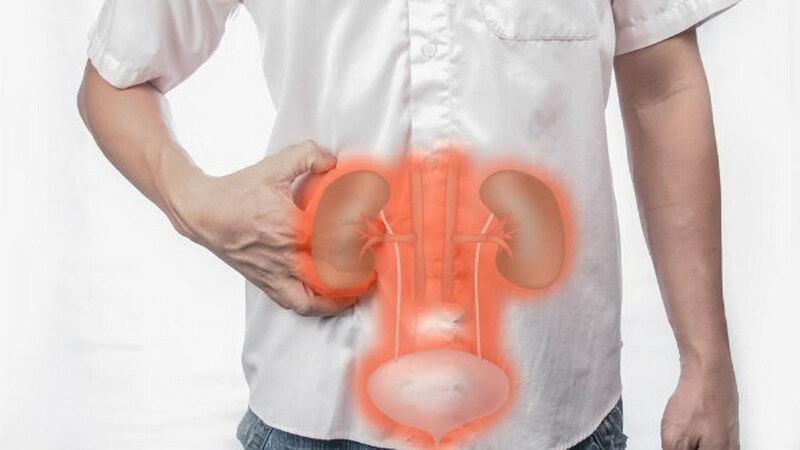 Healthy kidneys typically keep the blood cells in the body when filtering wastes from the blood to create urine, but when the kidney's filters have been damaged, these blood cells can start to "leak" out into the urine. In addition to signaling kidney disease, blood in the urine can be indicative of tumors, kidney stones or an infection. Your urine is foamy. Excessive bubbles in the urine – especially those that require you to flush several times before they go away—indicate protein in the urine. This foam may look like the foam you see when scrambling eggs, as the common protein found in urine, albumin, is the same protein that is found in eggs. You're experiencing persistent puffiness around your eyes. Protein in the urine is an early sign that the kidneys’ filters have been damaged, allowing protein to leak into the urine. This puffiness around your eyes can be due to the fact that your kidneys are leaking a large amount of protein in the urine, rather than keeping it in the body. Your ankles and feet are swollen. Decreased kidney function can lead to sodium retention, causing swelling in your feet and ankles. Swelling in the lower extremities can also be a sign of heart disease, liver disease and chronic leg vein problems. You have a poor appetite. This is a very general symptom, but a buildup of toxins resulting from reduced kidney function can be one of the causes. Your muscles are cramping. Electrolyte imbalances can result from impaired kidney function. For example, low calcium levels and poorly controlled phosphorus may contribute to muscle cramping.